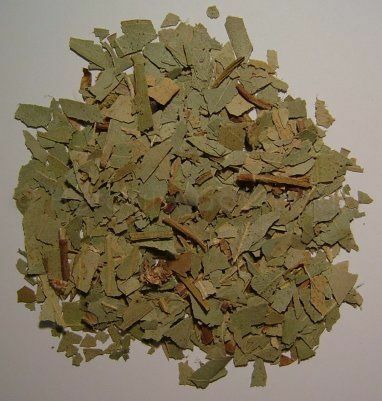 25g/1oz - Used by Aboriginals, may help as an immune herb on the respiratory and nasal. Eucalyptus is mostly from Australia but it does grow in other places like Greece. The English trees don't have as strong a smell. You could also make a bath with the water of a large "teapot size" tea. Many people use the oil for this.